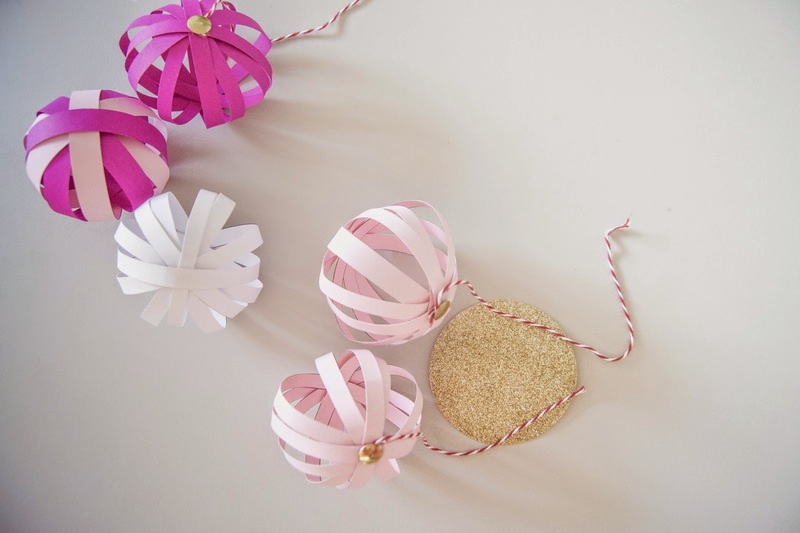 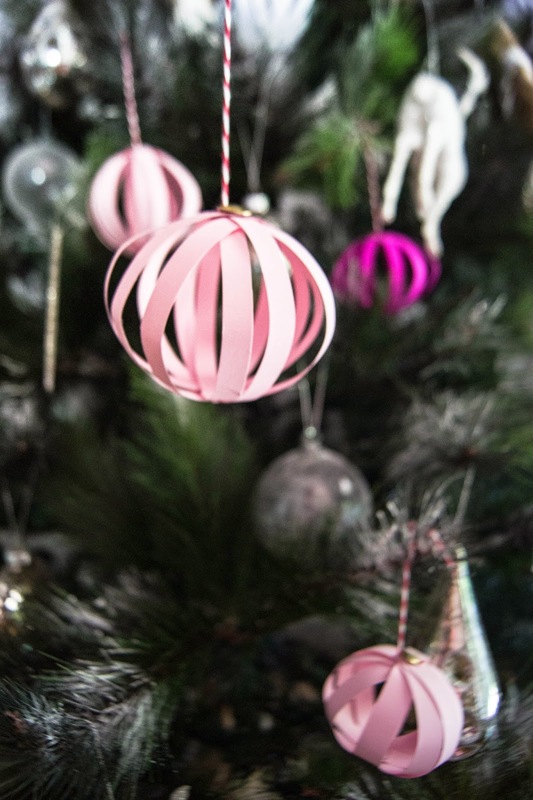 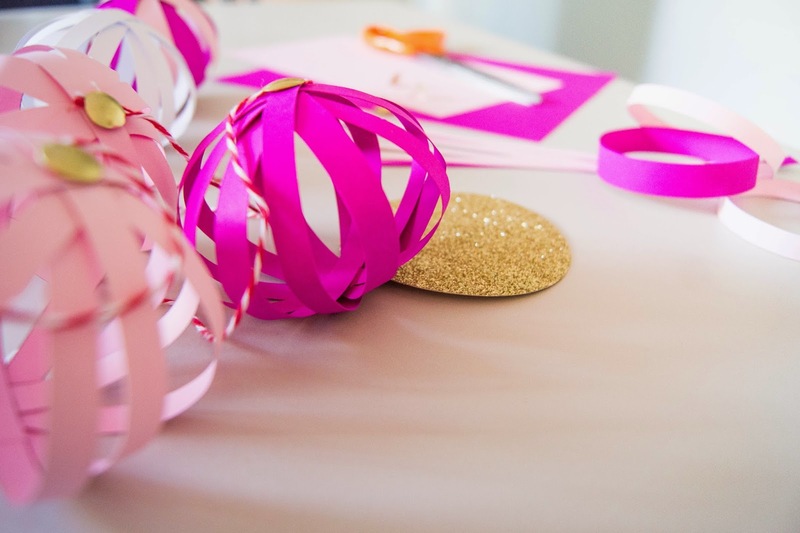 La Maison Jolie: DIY Paper Christmas Ornaments! 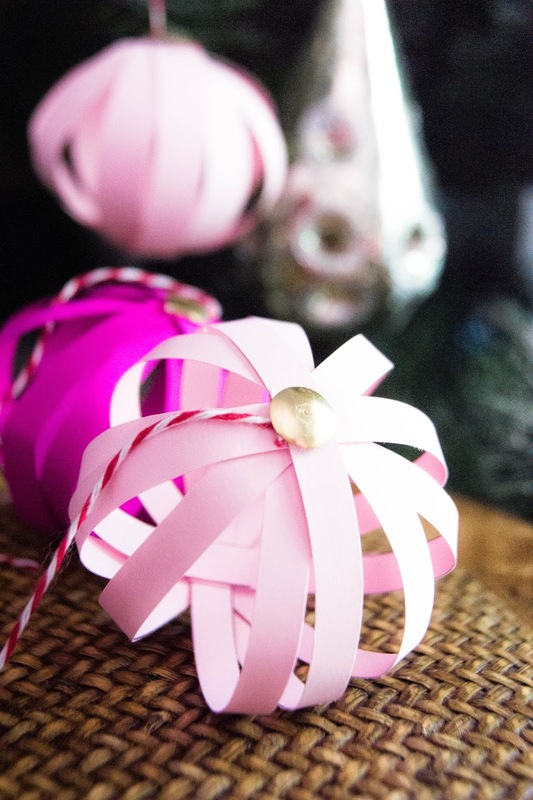 A few days ago a close friend and her two gorgeous kids came over to the house for afternoon tea and one thing led to another and suddenly we were knee deep in paper strips making Christmas Ornaments! 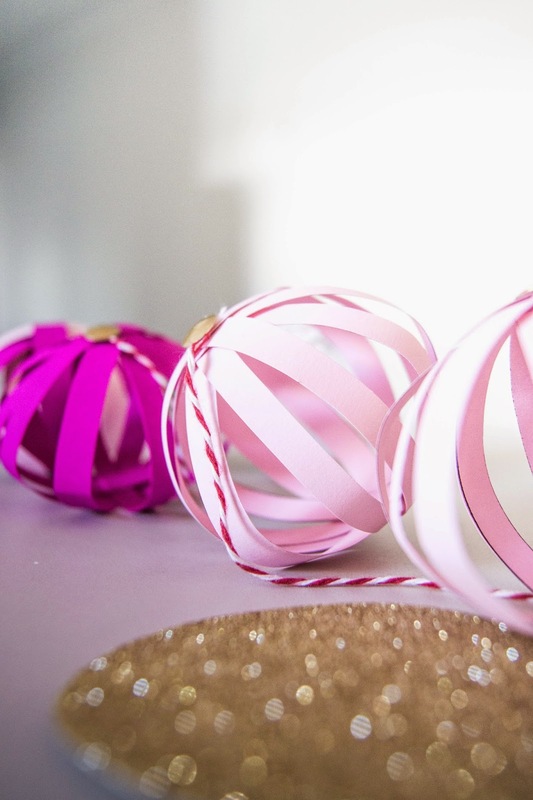 I love the way the light filters through them....so pretty! 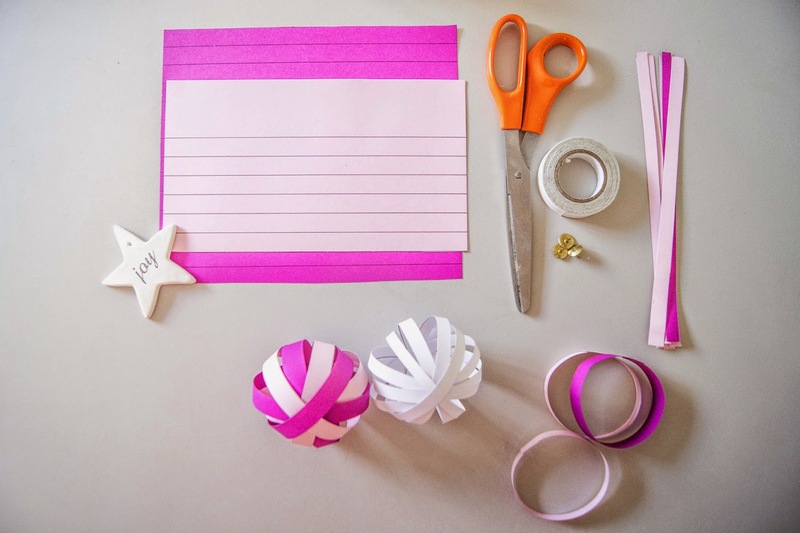 All you will need are colourful card stock, pair of scissors, double sided sticky tape, standard drawing pins and some string. 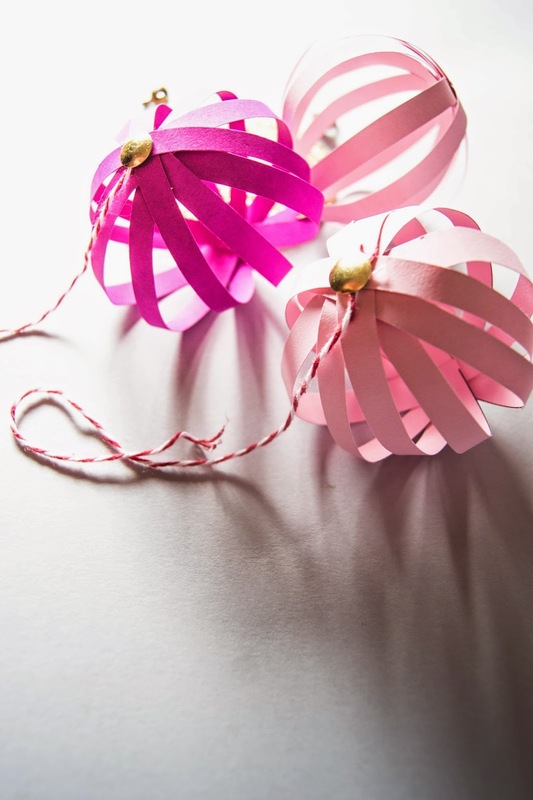 These are so pretty and they look so sweet hanging on the tree or as a bunting. 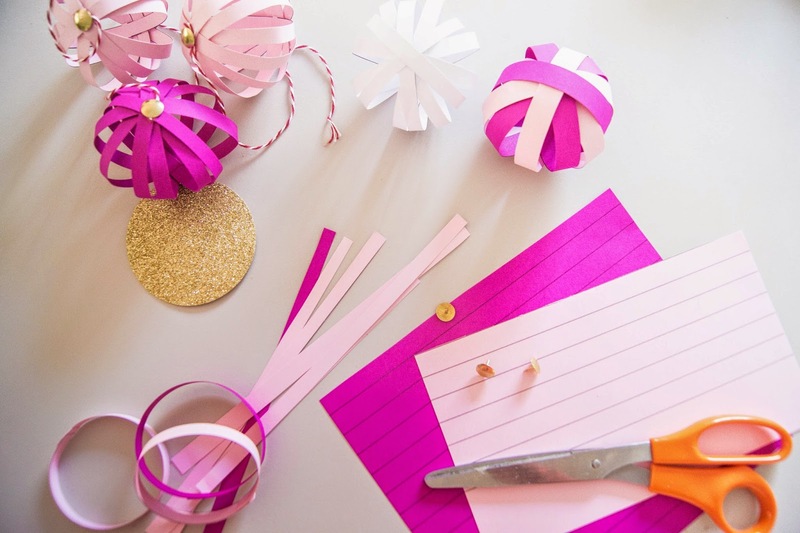 An easy DIY for kids to create special Christmas ornaments for the all important tree of the season and for the whole family to create some sweet memories!